Cycle Trader Insider is starting up its engine and roaring out on to the open road of the Internet. As we roar down the highway, we would like to tell you about who we are, why we have a cycle blog, and how you can help us make this blog part of the online cycle community. A “blog” is an online diary or journal written by a “blogger” to inform others about a particular subject. “Blogging” is when a person uses a blog to share their thoughts and ideas. Businesses use blogs to inform their customers about their services and official news. Others use blogs to create online communities, where individuals with a common interest come together to communicate. The “Blogosphere” refers to the world of all bloggers, or bloggers in a particular community or subject, like sports, politics, or pop culture. What is Cycle Trader Insider? Cycle Trader Insider is the official cycle blog of Cycle Trader. CycleTrader.com is owned and operated by Trader Publishing Company. Formed in 1991, Trader Publishing Company is the nation's leading publisher of specialty classified advertising publications. Cycle Trader serves private parties wanting to buy and sell used motorcycles, yet also serves as a forum for dealers and brokers to advertise their vehicles for sale. Trader's print magazines, like Cycle Trader, are distributed through hundreds of thousands of distribution points in most of the United States. What does Cycle Trader Insider do? 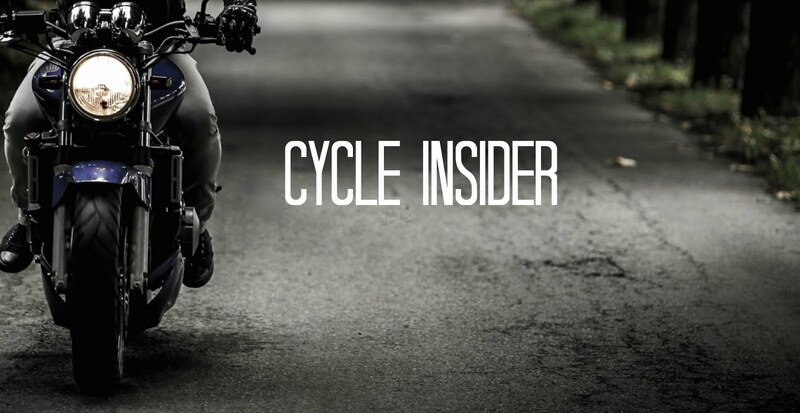 Cycle Trader Insider seeks to inform and create an online community for cycle buyers and sellers, motorcycle riders from all walks of life, and all who are interested in motorcycles. We seek out news and information related to motorcycles from all over the World Wide Web to inform our readers. We hope our readers will use Cycle Trader’s services to buy and sell cycles, but we also wish to contribute to the online cycle community through sharing news and information, not just about Cycle Trader, but the entire world of motorcycles. If you are a cycle buyer, seller, motorcycle rider or own a business that sells or supports motorcycles, we want you to read our cycle blog and offer your comments and feedback. What do we blog about at Cycle Trader Insider? We seek out news and information about motorcycles from all over the World Wide Web. We try to find the latest trends in cycle technology. More people, of all ages and walks of life, are taking to the road on their own motorcycle. We try to reach out to all types of riders and cycle enthusiasts. It doesn’t matter if you are first time rider just starting out, or if you have been on the road for years. We welcome all those who love to ride. You can help Cycle Trader Insider! Do you like our stories? Do you have ideas for cycle blog stories? Are you a motorcycle rider who has a blog? There are other motorcycle bloggers out there! We want to hear from you! You can click on the little speech balloon under each story on our blog and leave a comment. Please be polite and write a comment related to the story. You can also contact us at cycleblog@traderonline.com. Send us your story ideas and comments. If you have a motorcycle-related blog, let us know about it! We want to know who is writing about cycles in the blogosphere. Even if you don’t have a blog, if you find an interesting motorcycle related site or news story, send us a link. We need your help and contributions to keep this blog rolling. If you have a motorcycle blog, feel free to link to us! We can’t promise that we will link back, but if you find your blog informative and complies with our standards, chances are strong we’ll return the favor. Like to more the best game play today.